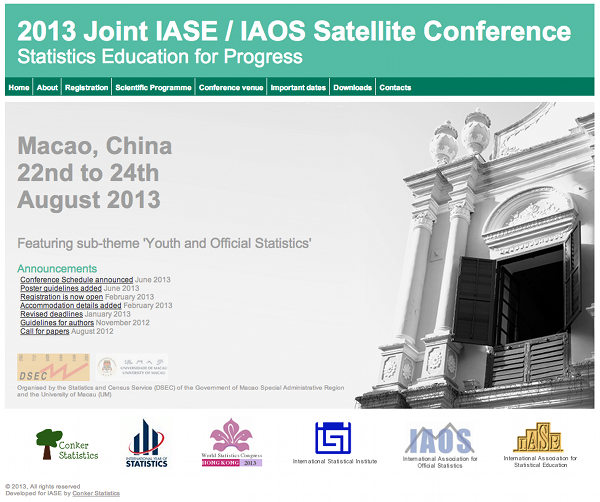 Conker Statistics are proud to develop and host the International Association for Statistical Education (IASE) pages for the 2013 Satellite conference in Macao, China. The overall theme of the conference is Statistical Education for Progress. For the first time IASE will be joining forces with the International Association for Official Statistics and holding a joint theme day titled 'Youth and Official Statistics'.